We are now a three car family. And even though this happened two months ago…I still walk out into our driveway and wonder…Who’s here? Then I remember, all three are ours, we have three driving people in our family, and it won’t be long ’til we have four. Four people who drive, that is, NOT four cars!!!! with a fourth car, you might need a bigger drive way 🙂 The way you wrote this made me chuckle . 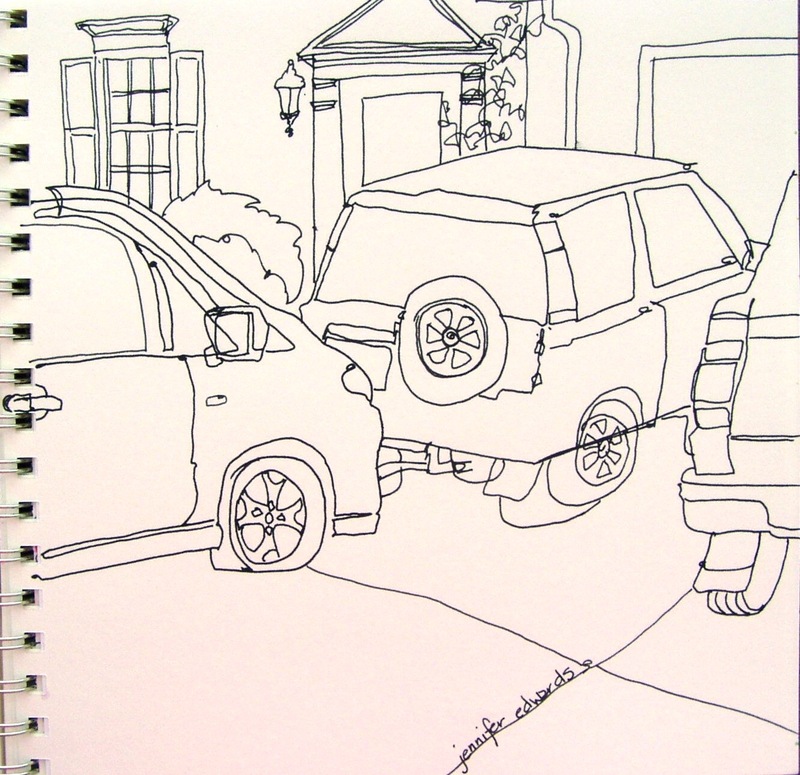 Nice sketch to remember when you were a three car family by once you become a four car family, lol. I’m taking my little car out to California in June. My grandson will be buying it so he can drive it when he gets his license hopefully in August when he turns 18. I had to laugh at this one! Our neighbors have TWO teenage sons and suddenly our little street is crammed with cars!